As the tools for creating and disseminating news become more widely available via the Internet, a plague of false reporting and fact distortion has become a growing factor in the incitement of gullible audiences, and eventually the taking of innocent lives. (Think of Al Durah, the children killed in the Shati refugee camp, the Jenin massacre.) We're seeing an egregious instance unfold in front of our eyes. 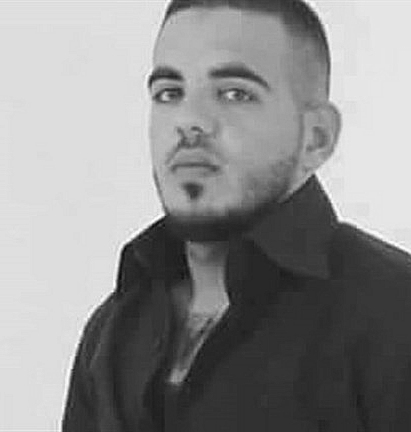 Shadi Arafa is the name of the Hebron-area Palestinian Arab who was killed in a terror attack aimed at Israelis in the suburban-Jerusalem community of Gush Etzion two days ago ["19-Nov-15: Thursday, bloody Thursday"]. Three people were murdered in the attack: Arafa, along with Rabbi Ya'akov Don, 49, a beloved, lifelong educator (well-known in Toronto for the four years he spent there as a visiting teacher at CHAT) who left a widow and four children, and Ezra Schwartz, a young man of 18 from Sharon, Massachusetts who was spending a post-high school year learning in an Israeli yeshiva and engaging in acts of volunteerism (that was brought him to the Gush Etzion area that fateful day). 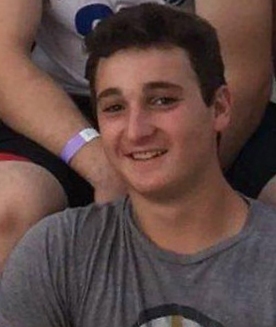 Five of Ezra's friends, also students from overseas spending the year in Israel, were injured, none of them very seriously. Two Israeli women were hospitalized after the attack: one for wounds suffered in the shooting attack; the other for injuries suffered in the vehicle ramming. 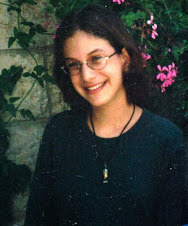 Both were sent to Shaarei Zedek Medical Center and released the following day. The attacker identified by Palestinian Arab media as the terrorist is Mohammed Abdel Basset al-Kharoub, 24 from a village close to Hebron that is reported widely - but inaccurately - as Dir Smat. From our knowledge of the area, we think they mean the place various rendered into English as Dayr Samet, Dayr Samit and Deir Sammit. The killer's background is not our concern - though we do ask rhetorically how long it's going to be before we hear calls for the ramming/shooting murderer's release from behind Israeli bars on the customary nonsense grounds that he's a political prisoner? 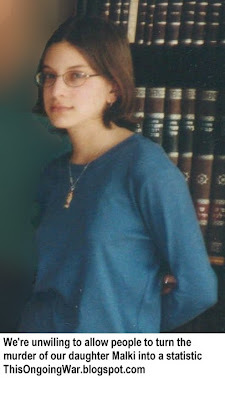 But what is very much on our minds is the way our moderate, peace-seeking neighbours (excuse the deep cynicism) in the Mahmoud Abbas-dominated Palestinian Authority have turned reality on its head and declared the death of the Arab victim as another instance of Israeli malfeasance. And how little (meaning no) attention this has aroused in the mainstream news media. Official Palestinian sources said that Arafa, from Hebron, was killed by Israeli forces who opened fire during the shooting attack. 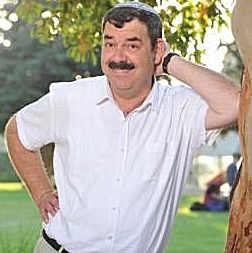 Israeli sources say he was killed along with two other Israeli victims when a Palestinian gunmen [sic] opened fire with an automatic weapon. A series of attacks have been carried out by Palestinian individuals on Israeli military and civilians since the beginning of last month, leaving at least 15 Israelis dead. 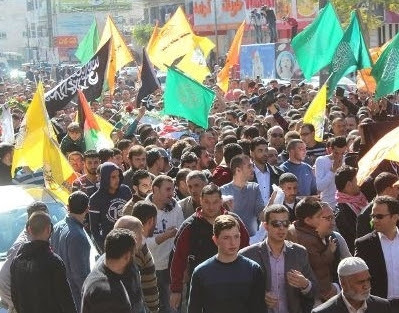 A large crowd in the city of Hebron, after Friday prayers today, buried the body of the martyr [الشهيد] Shadi Zuhdi Arafa [شادي عرفة] at his final resting place in the Martyrs Cemetery in the Zoughair neighborhood in Hebron. by the moderates of the PA into another incident of "death by Israelis"
On Twitter [click to view], there's a bunch of Arabic-language tweets, many with accompanying photos, proclaiming Shadi Arafa's "martyrdom", laying it at the feet of the Israelis. There are hundreds of hits when you Google (in Arabic) "martyr Shadi Arafa" - try it. These Arabic-language accounts, along with the rich resources of photos and videos, inevitably have limited impact on Western audiences like the good people reading our blog. But we need to be aware that Arabic-speaking audiences are daily incited to more and more acts of terror, vengeance and hatred by precisely this kind of cynical mis-reporting. The process is appropriately described as Lethal Journalism. And it's high time the price of allowing its practitioners to keep doing it, and of ignoring the way it's ignored by the global news media channels, is better understood and stopped.